Promotional value expires 120 days after purchase. Amount paid never expires. Appointment required. Limit 1 per person, may buy 1 additional as gift(s). May be repurchased every 120 days. Valid only for option purchased. Merchant is solely responsible to purchasers for the care and quality of the advertised goods and services. As the name suggests, at SNP Hair & Spa salon, the sound of scissors snapping is a common thing. 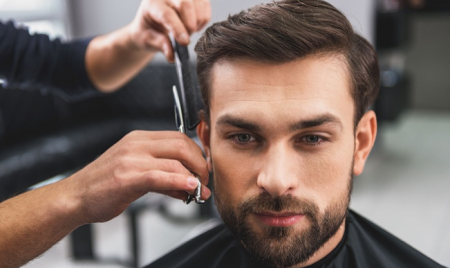 Each day its stylists skilfully wield this tool to deliver a plethora of haircuts whose styles range from classic to trending, and which help visually modulate the face in the desired way. But now let’s focus on the second part of the name—Spa. The salon also delivers mind- and body-pampering treatments such as massages, waxing, mani-pedis, and eyelash extensions that frame the eyes, creating either a casual, feather-like look or a voluminous and seductive appearance.